College freshmen are preparing to start their undergraduate adventures. But what do we know about the class of 2012? Prepare to be dismayed by the tenth annual Beloit College Mindset List. Apparently, we need a "Black Google". It's called RushmoreDrive. You can read the background here. I'm glad to see we've finally transcended racism. Is it protest art, or public nuisance and unneeded trash? Protest balls. It's amazing some of the most obscure things that are archived within the intertron. Like Excerpts from The Anvil — 1913. The table beneath the class picture is the star of this page. You scream, I scream, we all scream for space cream! If you haven't seen The Dark Knight yet, you've at least seen the trailer. Which has been reproduced using the 1966 movie, the 1989 movie, The Office, and with kids. The board game The War on Terror came out in 2006 after a long development period. Now it's officially criminal. A short illustrated history of the Nerd (three pages). Although billed as the 25 most colorful lakes on earth, many are just the result of reflections. They're still awesome photos, though. The animal world strikes back! 19 terrifying incidents involving fish. 5 insanely small and inhabited private islands. Do you like The Simpsons? Then you'll probably enjoy this map of Springfield. You know how The People's Court interviews the participants after a session? The best interview ever. 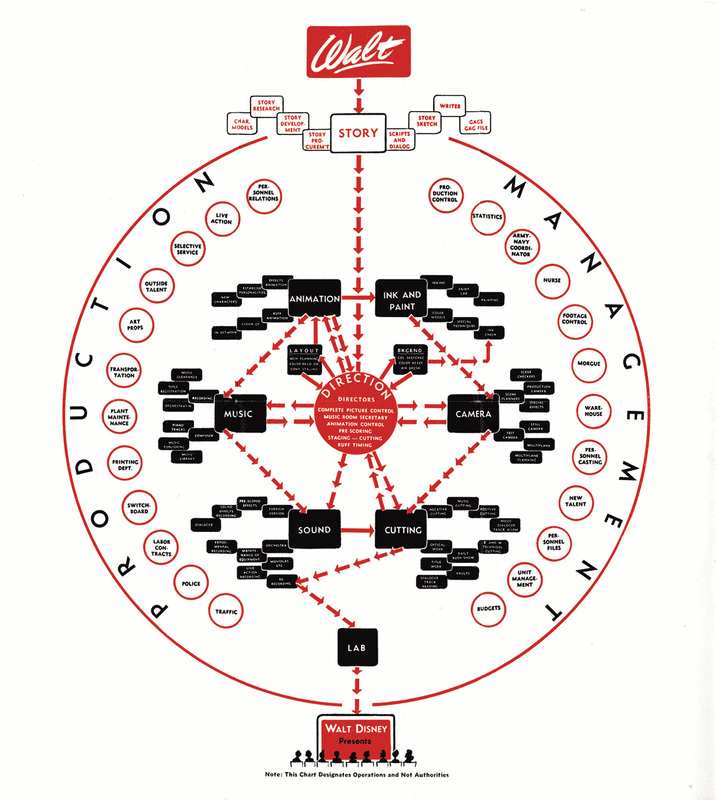 Walt Disney's 1943 production flowchart. You know, every time I'm snowboarding, I say to myself, "I wish there was a way I could answer all my phone calls without taking my gloves off." Do you spend hours in front of a computer screen? Then you need Gunnar computer glasses, if only to say their name out loud to other people. Love those inanimate faces -- now I'm going to be looking for faces in everything. Hi. Can you please purchase the Gunnar glasses and let us know if they really work? Thx. Sincerely, Girl with constant computer screen induced headache.